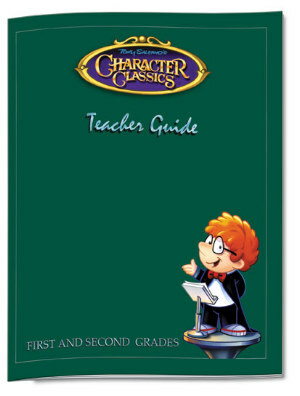 This Sing-a-Story book is based on the songs from the award-winning Kindness Character Classics sound recordings. 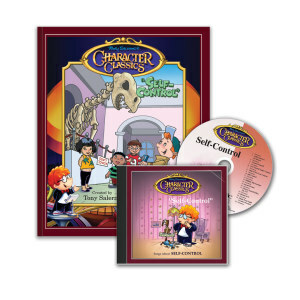 This book contains all of the songs from that recording, but features the title song, "Captain Kind," with beautiful illustrations and delightful characters from the song. You may read along with the pictures, or if you have the recording...you may want to sing the words as you follow the meaningful illustrations. "Captain Kind" comes to save the day faster than lightning. He can help change anger into kindness and stop a fight before it starts. He turns bad into good. With the Captain around, it's easy to show kindness instead of anger. 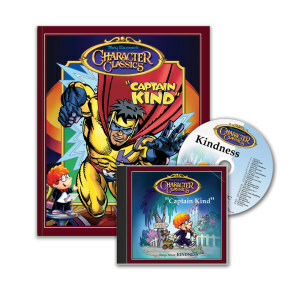 Children will love the colorful illustrations of Captain Kind racing through the pages, showing that kindness can win over action of bullies and irritating brothers and sisters. 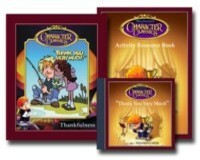 Parents will appreciate the delightful words and music reminding children to do kind things for one another. The other 6 tracks are the orchestra without voices.